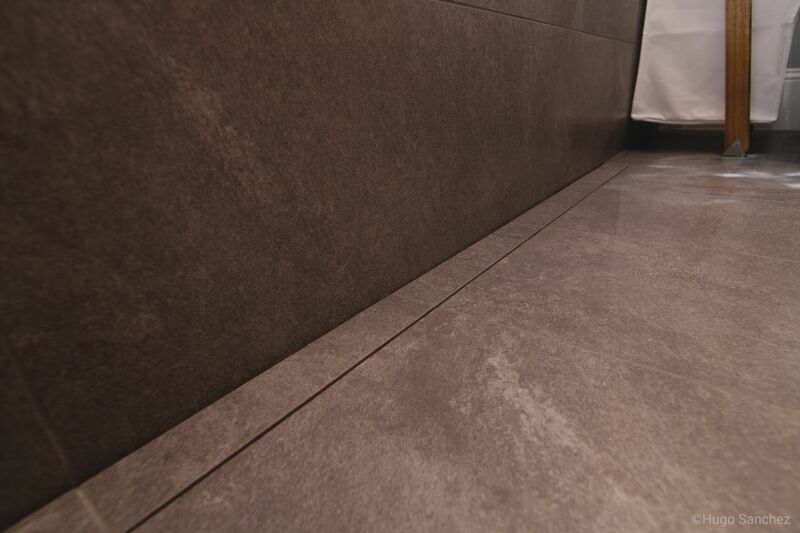 Shower walls and curbs completely disappear in this modern bathroom, and are replaced with a sloped waterproofed floor descending to the nearly invisible KERDI-LINE linear drain with tileable covering. 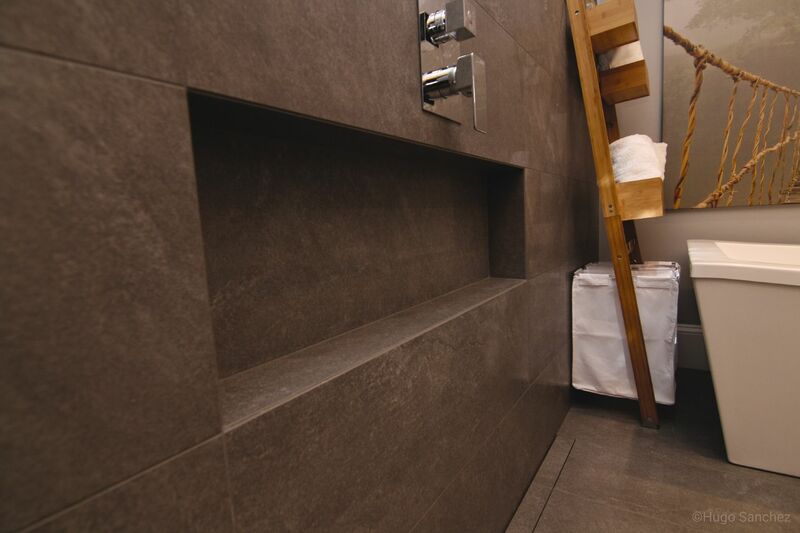 A lack of shower walls didn't mean a lack of storage in this tiled bathroom! This shower niche is waterproofed along with the entire wall with the KERDI membrane. 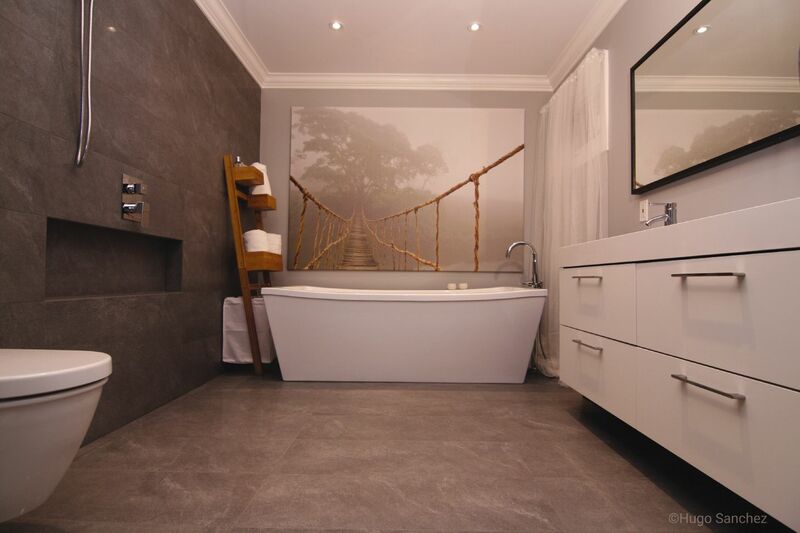 The KERDI-LINE linear drain with tileable covering blends so effortlessly into this room, it's hard to see it at all.